Have you ever wanted to try axe throwing, but decided it was too dangerous? 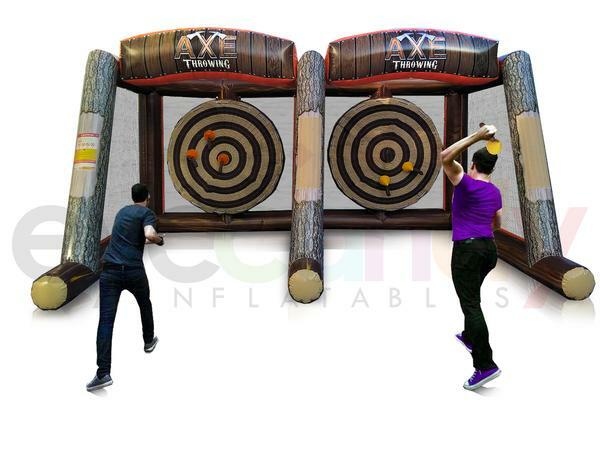 Now you can with our Inflatable Axe Throwing rental. 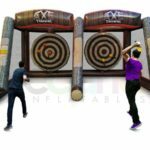 Challenge a friend in a head to head battle taking turns getting closest to the bullseye using soft velcro axes or take turns getting closest to the bullseye in the single game. Safe & fun inflatable game for players of all ages.